At Maughan Thiem Kia, we don’t just sell cars, we sell a great driving experience. 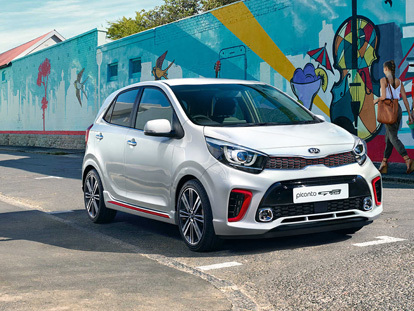 If you’re in the market for a car with great style, advanced technology and an emphasis on safety, our impressive range of new Kia models deliver big, every time. Looking for incredible fuel economy, practicality and versatility? Test drive our range of small cars designed for the urban lifestyle like the Kia Rio or Cerato Hatch. Need a vehicle that easily transitions between city and off-road driving? Take your car from weekday to weekend with our adventurous Kia Sorento. At Maughan Thiem Kia, we prefer to offer quality and reliability with every new car sold. That’s why our Kia customers have access to the Australia’s best 7-year/unlimited kilometre warranty*, along with our 7-year Capped Priced Servicing and roadside assist. Want to learn more about our fantastic range of new Kia vehicles? Contact one of our expert team members, or visit our Cheltenham Kia dealership for more information.